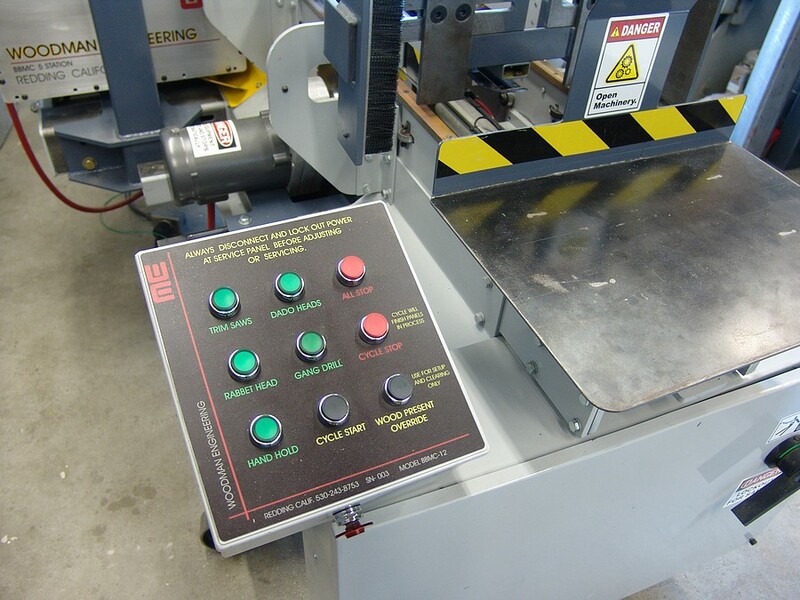 The latest Option on the 5 station BBMC is CNC control of the router section. 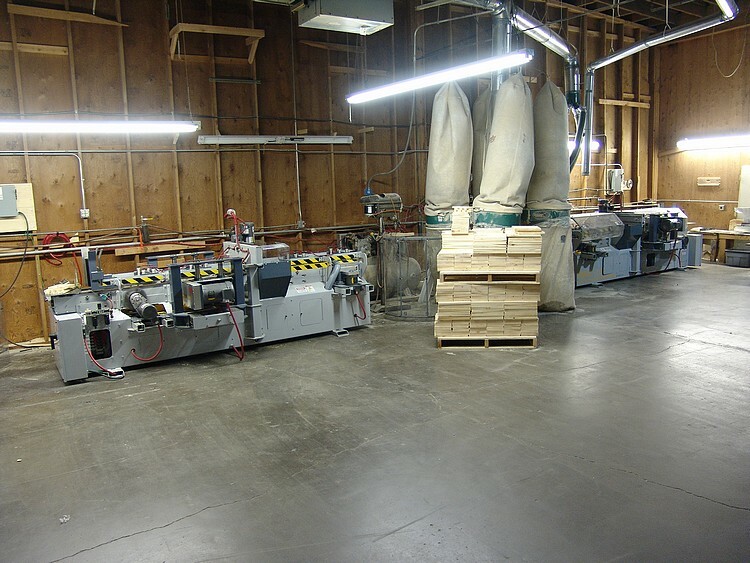 It enables the machine to produce 4 different styles of box construction. Typical 3/8 x 5/8 top finger. 1 5/8 top finger. All machines can do this. Best of all it can produce the INSET frame rest. Which is the strongest of all types of construction by enabling the use of a consistent size finger top to bottom and full 3/4 thickness. No more weak 3/8 thick fingers. 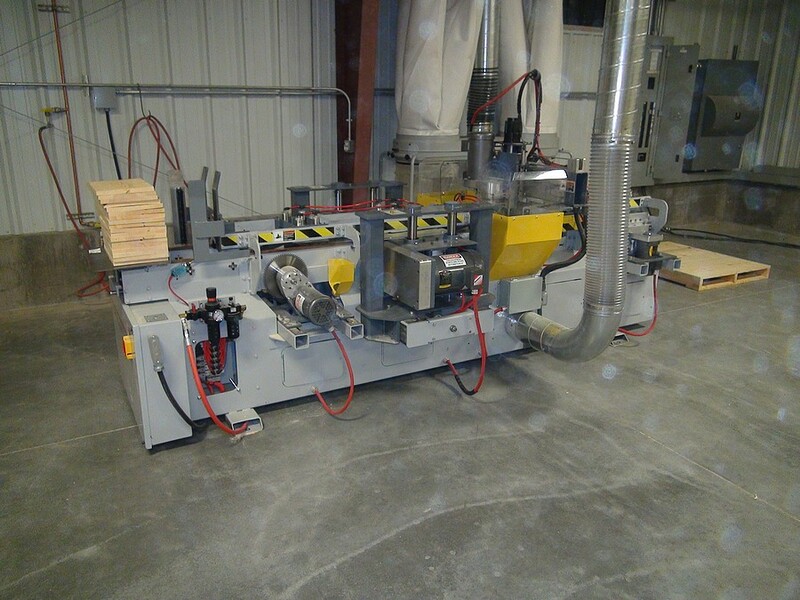 Woodman Engineering has designed and developed a high speed, thru feed, production machine specifically designed for the manufacture of Hive Bodies and Supers. 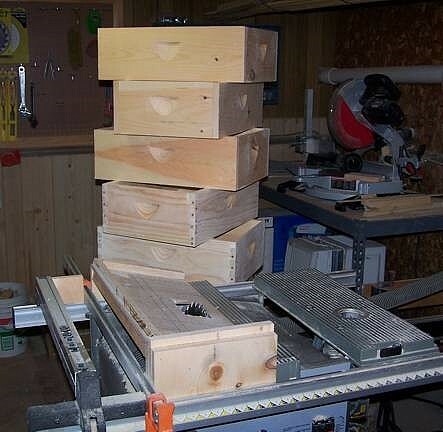 Hives bodies, while simple in their design can be produced with a minimum of tools, such as the common table saw… But at a rate that is just to slow for mass production. 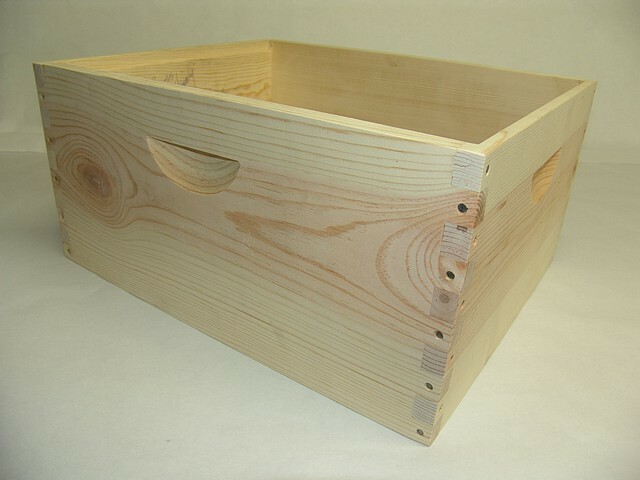 The need for a dedicated Hive Body, or Bee Box making machine was recognized many years ago. It wasn’t until 2009 that we were approached by a local apiary that wanted, “…something that would keep his guys busy in the off season”. They were going to get more than they asked for! I took the opportunity to build what was really needed. The design of the BBMC is based on years of experience designing building and repairing production machinery. The design was a success. 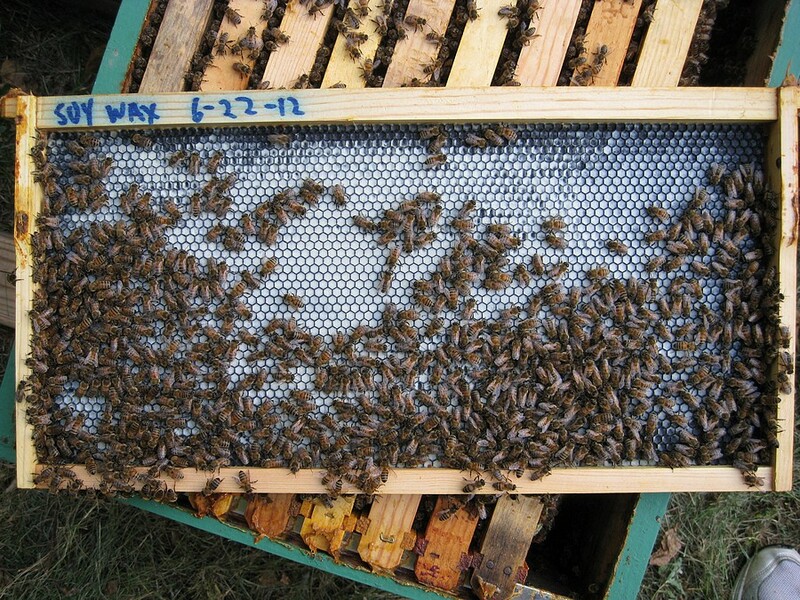 In 1851, Lorenzo L. Langstroth, the “father of American beekeeping”. 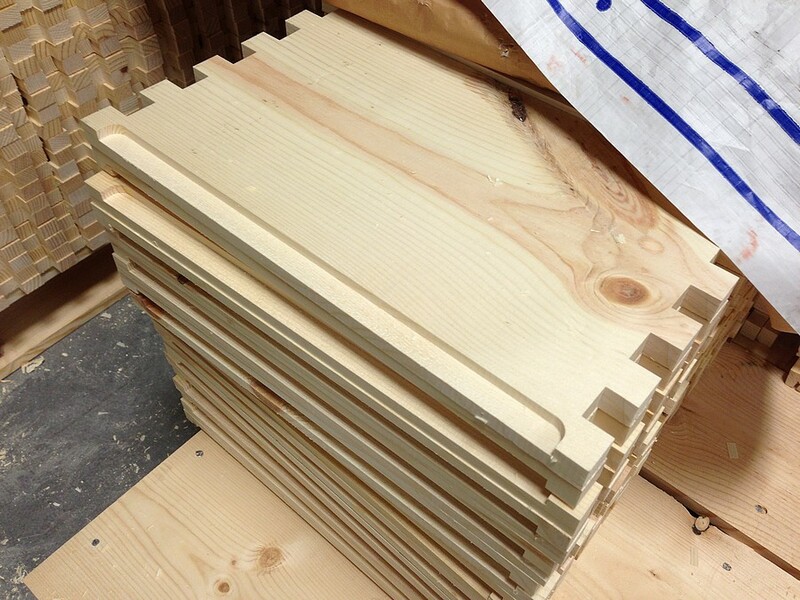 Designed and built the Bee hive as we know it today, that is, the dimensions, layout and function. 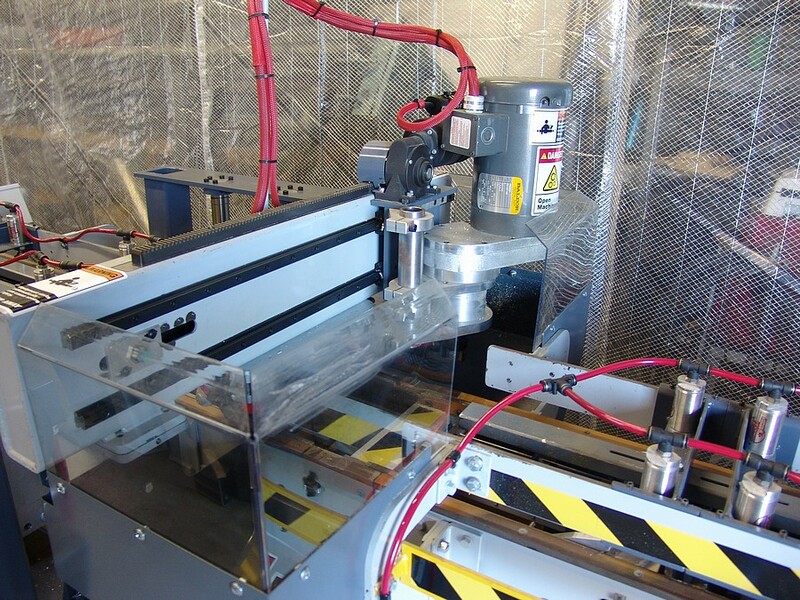 The Woodman Engineering Bee Box Machining Center is designed to create Hive Bodies and “Supers” Based on Langstroth”s design. 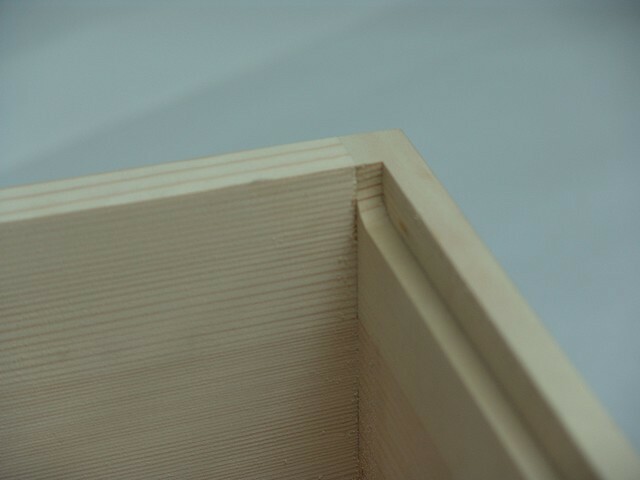 The BBMC is based on 1 inch “fingers” or “LOCK CORNER” as it sometimes called, that make up the method of construction of the boxes. 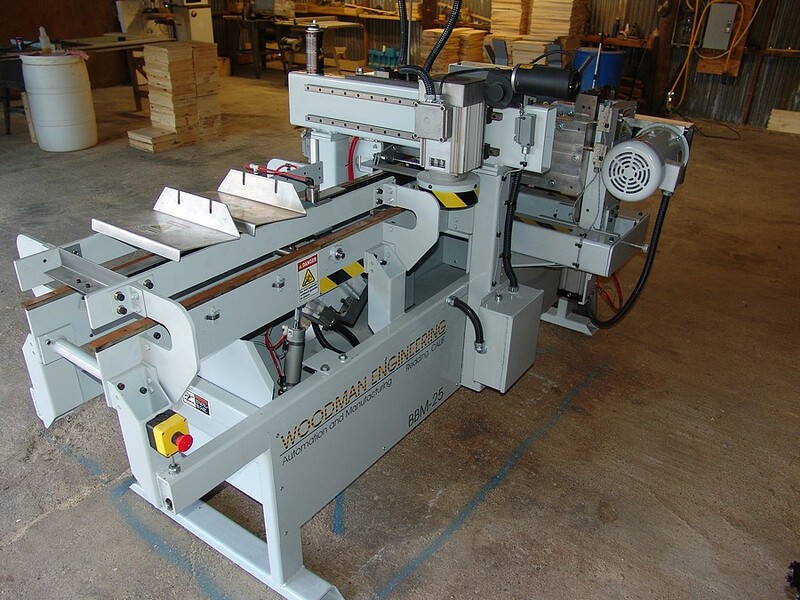 Woodman Engineering is currently producing the BBMC-0012. 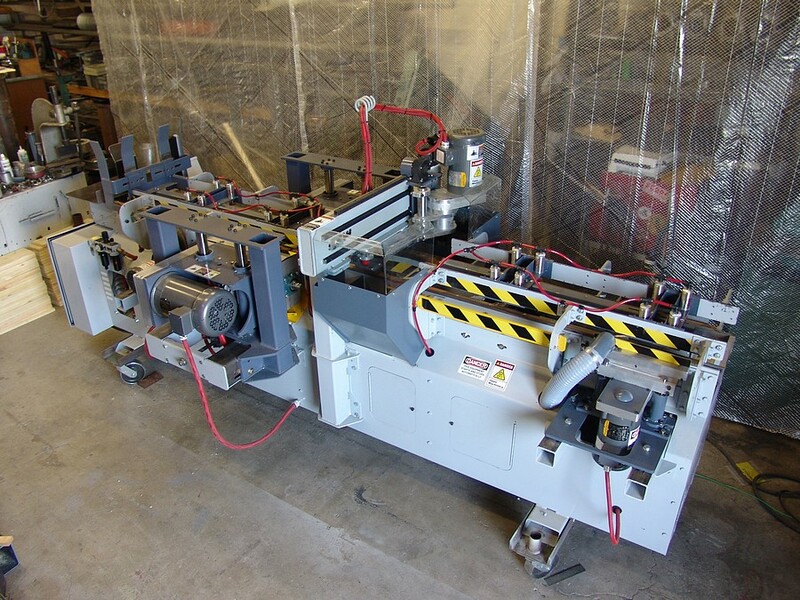 And a modified version that has optional additional stations for Trimming and Hole drilling. 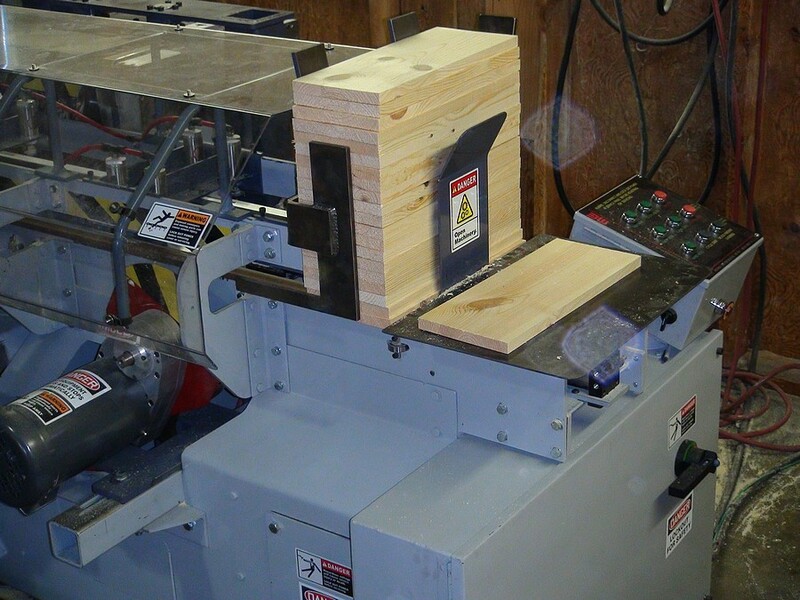 Currently a total of 5 different operations can be cut and machined to the panel. The BBMC machines can be operated by one man at a reduced rate or multiple machines can be operated by just 2 operators. 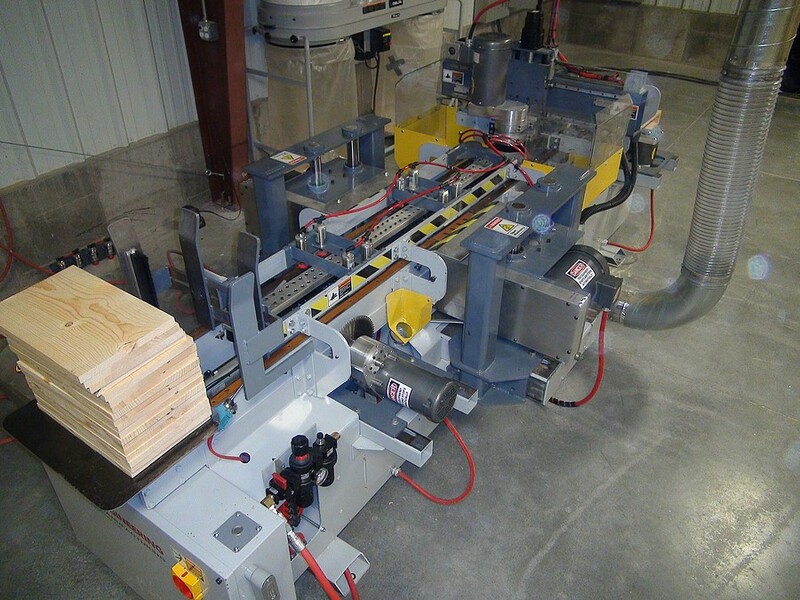 All machines need to have finished to length or near to length panels. 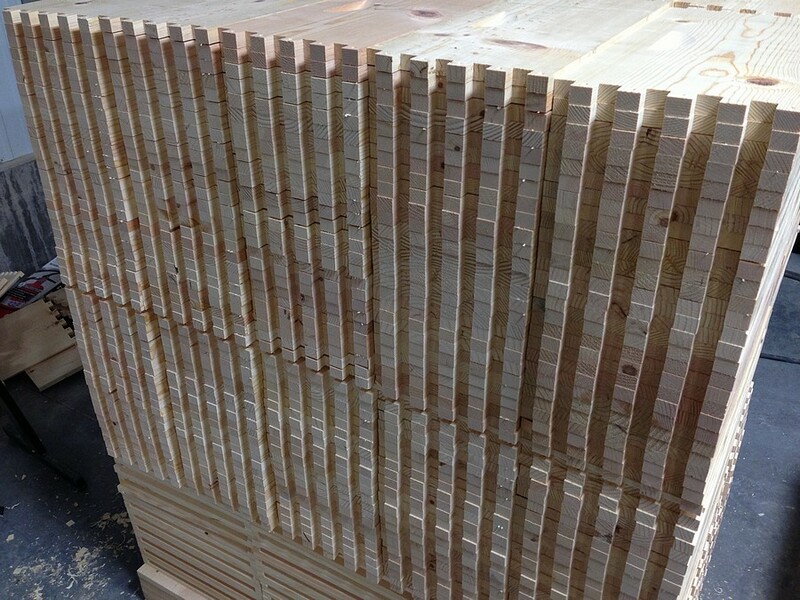 All panels are finish trimmed along the long edge, or rabbet edge. Panels are stacked at the feed hopper and once the desired stations are started and the feed button has been pushed, the machine will continue to run as long as there is wood in the Hopper. Any station can be run independently. Example: The Hand Hold cut out need not be cut in the panel while the other operations are still preformed. 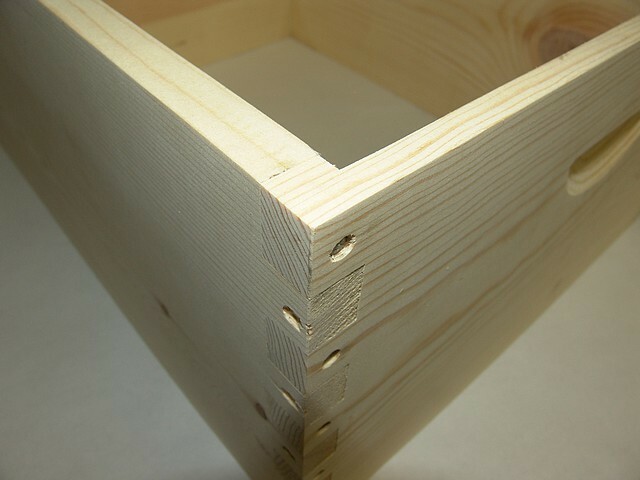 Change over from 9-5/8 to 6-5/8 to 5-5/8 is simplified based on the 1 inch layout of the box joint. When a machine is banging and crashing about …it is talking to you. It is telling you it is not working right. This is what is so important about designing mechanical devices …Kind of like what Beethoven must have been hearing in his head when he was writing his symphonies. A smooth working machine …is a good running machine. 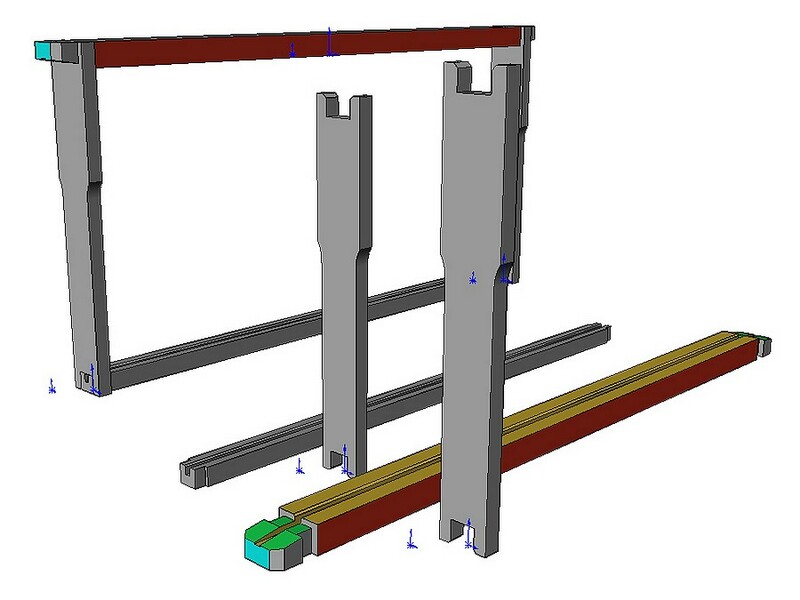 Currently in the design phase is a high speed through feed machine that will make the small wooden parts for honeycomb “FRAMES”.